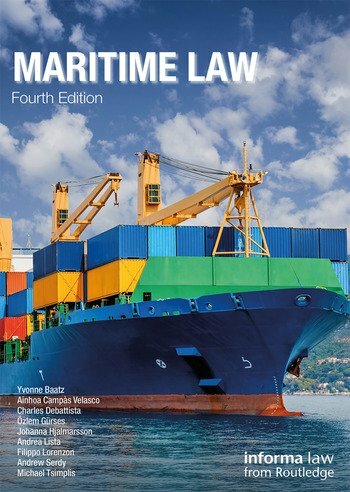 Now in its fourth edition, this authoritative guide covers all of the core aspects of maritime law in one distinct volume. Maritime Law is written by a team of leading academics and practitioners, each expert in their own field. Together, they provide clear, concise and fully up-to-date coverage of topics ranging from bills of lading to arrest of ships, all written in an accessible and engaging style. As English law is heavily relied on throughout the maritime world, this book is grounded in English law whilst continuing to analyse the key international conventions currently in force. The entry into force of the Hague Convention on Choice of Court Agreements, 2005 and greater detail on Regulation (EU) No 1215/2012 of the European Parliament and of the Council of 12 December 2012 on jurisdiction and the recognition and enforcement of judgments in civil and commercial matters (recast). The entry into force of the Nairobi International Convention on the Removal of Wrecks, 2007. Discussion on the Arctic Sunrise and Duzgit Integrity arbitrations and the "Enrica Lexie" Incident (Italy v India), Provisional Measures in the International Tribunal for the Law of the Sea. Analysis of the Insurance Act 2015. Comment on recent cases including London Steam Ship Owners Mutual Insurance Association Ltd v Spain (The Prestige) and PST Energy 7 Shipping LLC v OW Bunker Malta Ltd (The Res Cogitans). This book is a comprehensive reference source for students, academics and legal practitioners worldwide, especially those new to maritime law or a particular field therein. PROFESSOR YVONNE BAATZ (MA Oxon.) qualified as a solicitor in 1981. She practised with two leading firms of solicitors in the City of London, specialising in shipping litigation. Since 1991 she has been a lecturer in the Law School at the University of Southampton and was made a professor in 2007. She was Director of the Institute of Maritime Law from 2003 to 2006.